Jussie Smollett returned to the Leighton Criminal Courthouse in Chicago on Tuesday morning for an “emergency court appearance” which has led to a stunning reversal in the charges against the Empire actor. A judge also granted a motion to seal the case, according to CBS Chicago. Chicago Police Superintendent Eddie Johnson is reportedly upset about the criminal charges being dropped. 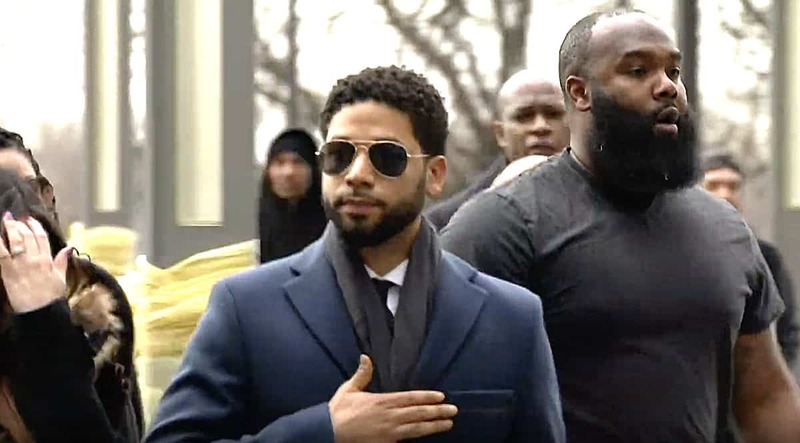 Smollett was indicted on 16 felony counts of disorderly conduct on March 6 for falsifying reports that he was the victim of a hate crime. It’s unclear what led to the charges being dropped. As of now there is no new evidence that materially changes the facts presented in the case. Smollett forfeited a $10,000 bond payment, a move his attorney said happened frequently in cases. Smollett and his attorneys spoke to reporters after the hearing, offering little information about what led to the dismissal of charges. We’ll update here when we find out more.